Of course it’s a fish. 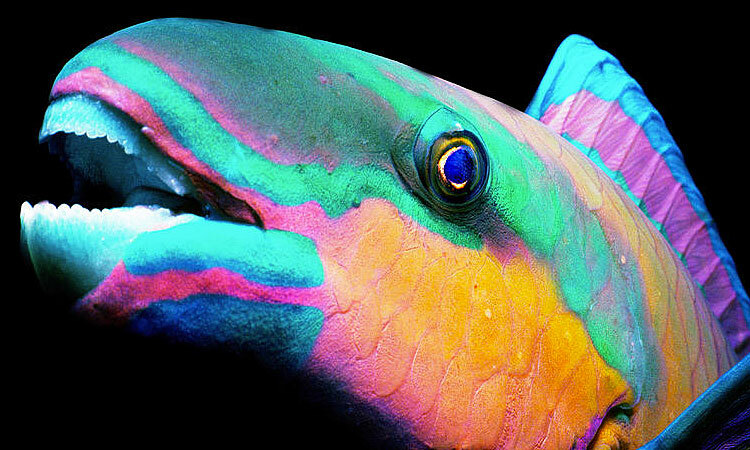 But it is called a parrotfish since it is so colorful and has a very cute beak-like mouth. This “beak” is actually exposed bone and not true teeth. It uses that hard mouth to eat the algae off of the hard coral on which it grows. 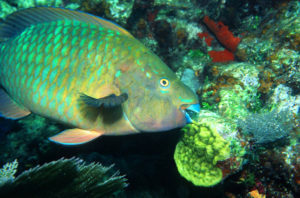 Parrotfish help to keep coral reefs healthy by eating excess algae. Overfishing removes too many parrotfish from a reef and the health of the ecosystem suffers. Because a parrotfish scrapes off some of the coral as it cleans, the ground up coral limestone passes through the parrotfish’s body and is pooped out. A large parrotfish can poop out over 800 pounds of sand per year! 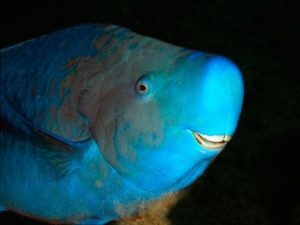 Parrotfish are also fascinating because of the way that they can change from female to male. 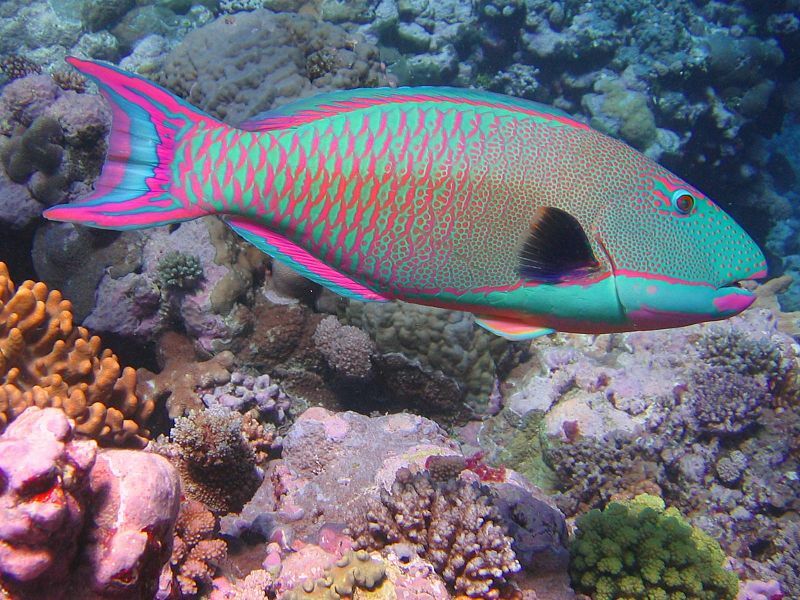 Some parrotfish remain female for their entire lives, but others, as they get older, change from female to male. And as they change, their colors change becoming brighter and more vivid with beautiful markings. The sleeping habits of some parrotfish are a wonder to see. 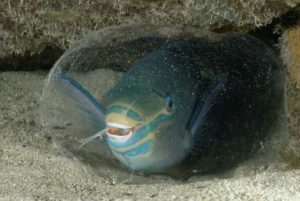 Before settling down for the night, the parrotfish burps out a slimy mucus sleeping sack which completely covers the fish. This keeps predators, or bigger fish who might like to eat the parrotfish, from smelling their nighttime snack. They swim right by the sack of slime, not knowing that the parrotfish is hiding inside.